Our skin is the most sensitive organ and is exposed external factors like pollution and UV radiations. The external environment and exposure to certain toxic chemicals can harm our skin in long run. Acne is quite common these days and there are literally million products out there to treat acne, while some products work others just worsen the condition. Here I have shared an easy face mask recipe that helps to heal acne. This DIY anti acne face mask calls for simple ingredients. 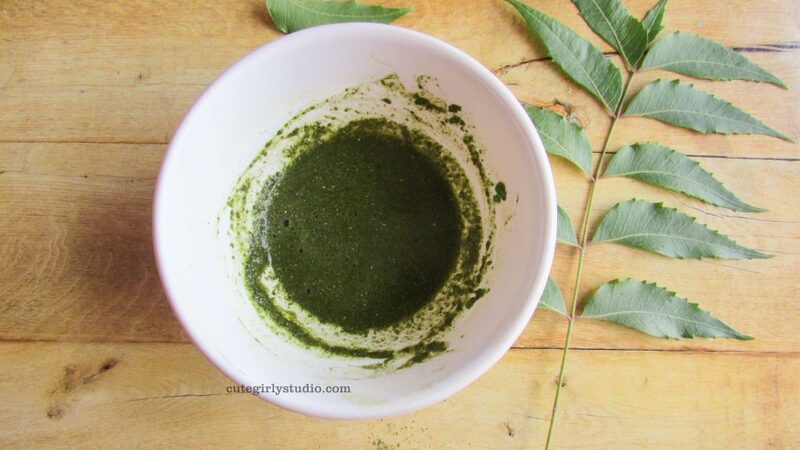 Neem leaf prevents acne breakouts. 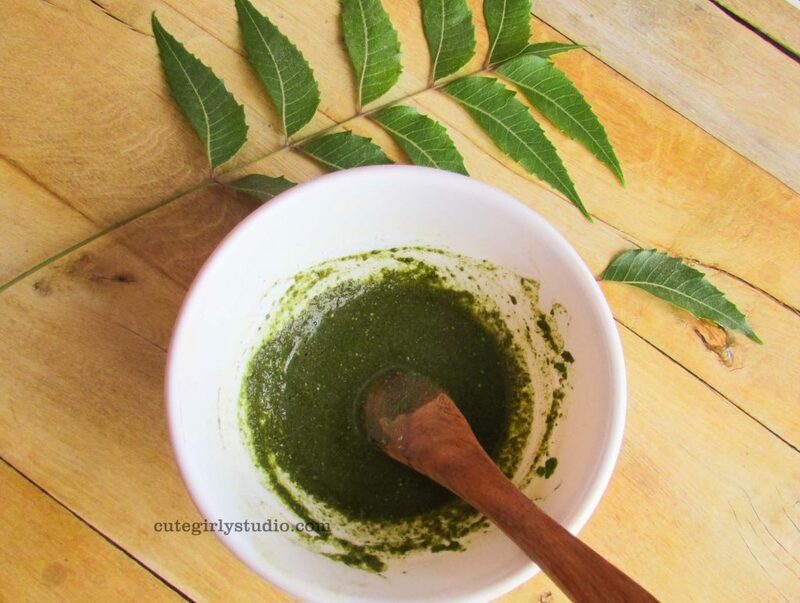 Neem paste heals scar tissues, help in the removal of scars left by acne. Neem helps in controlling excess oil production. Neem has anti-fungal, anti-inflammatory and anti-bacterial properties, thus it helps to reduce acne breakouts. Moringa is known as a miracle plant, every part of the tree from its leaves, pod, fruits, seed, oil, flower, roots and bark has medicinal properties. The extract of moringa leaves is popularly used in the cosmetic industry as it has many therapeutic and skin cleansing properties. It kills bacteria and rejuvenates it. Due to its anti bacterial properties it prevents acne breakouts. Antioxidants play a vital role in maintaining healthy cells on our skin. It rejuvenates the top layer of the skin. The benefit of aloe gel is known to almost everyone out there. It has polysaccharides that give hydrating, anti-inflammatory benefits and allow for aloe to give a protective barrier on the skin. Aloe helps to prevent new acne breakouts and at the same time dries existing one. It also heals acne marks. Take a clean bowl. To this add neem leaf powder. I have added neem leaf paste. 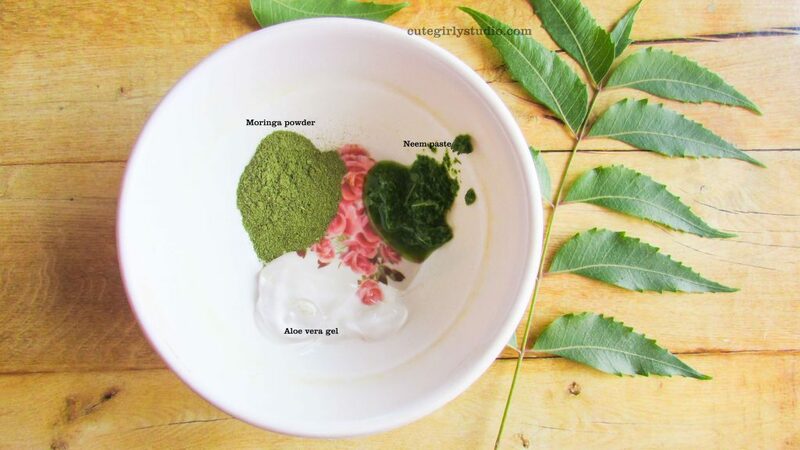 Now add Moringa leaf powder and give it a quick mix. Now add aloe vera gel and make a paste out of it. Apply it all over the face and neck. Rinse your face after 10 minutes. Use this mask on alternate day to see a visible difference in 2 weeks.